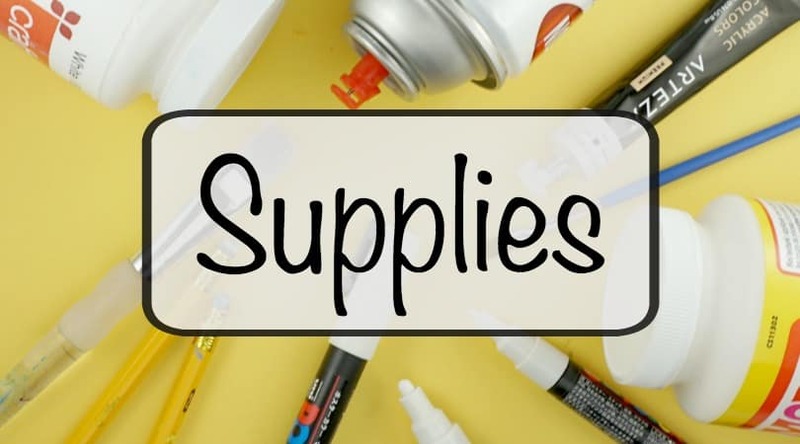 Learn how to use spray paint to make beautiful kindness rocks! From hiding to gifting, you will want to check out this amazing technique. 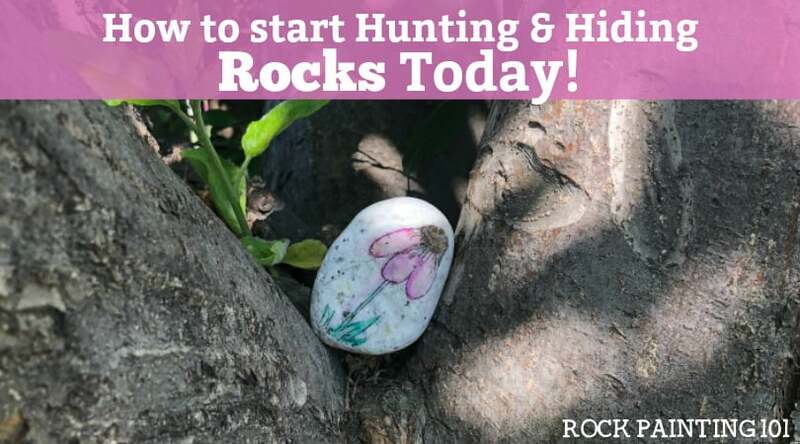 There are so many places to get inspired for rock painting ideas! Instagram is FULL of amazing artists that are spreading kindness rocks all over the country! Today we want to share with you Rocks of Joy. Kelly has been painting rocks for a little over a year. Kelly loves to place her painted rocks down in beaches and parks. She also gives them away or sells them in her Etsy shop. 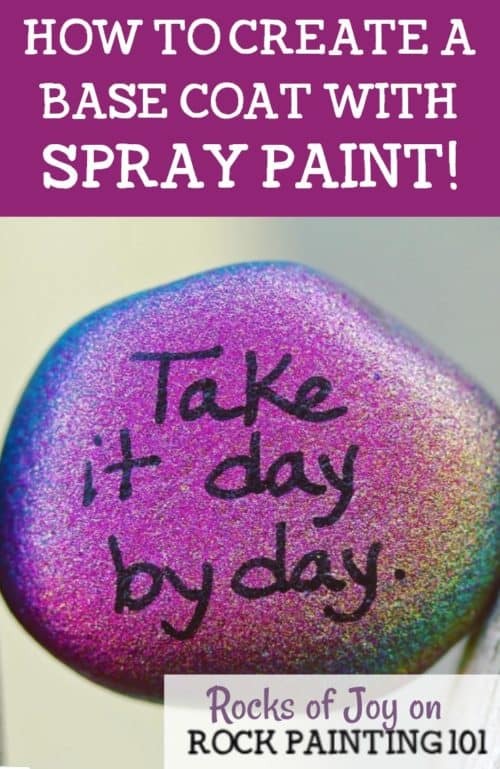 What makes her rocks stand out to us is the way she creates a base coat with spray paint! Genius! 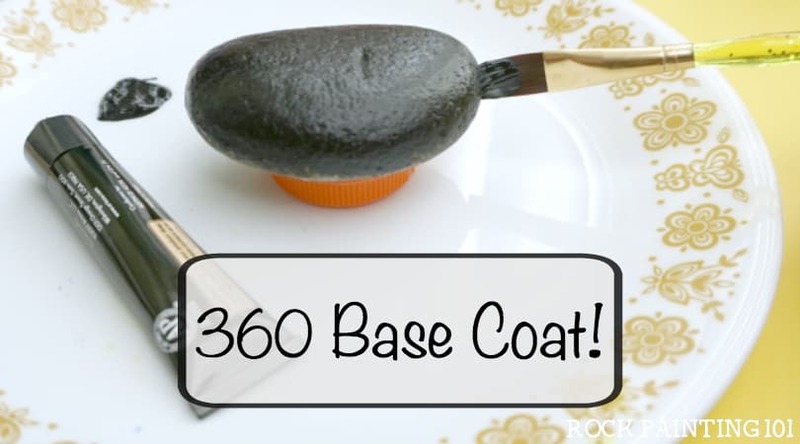 How to base coat rocks with spray paint! Make sure your rocks do not have any film on them. This way the paint adheres properly. Sometimes rocks purchased have a wax coating on them. This needs to be removed prior to painting. Grab a paint with a primer in it. This way you will only need one coat of paint. Place your rocks in a cardboard box. As long as you don’t oversaturate them they shouldn’t drip and stick. If they do just peel them off. To get a fun gradient effect start by spraying at an angle on one side. Don’t stand too close! Then come from the other direction with a different color. Remember you can always add more paint so don’t go too heavy too fast. Dry time is usually around half an hour depending on the weather. Humidity makes it take a bit longer. Leaving them to dry overnight is best just like any other base coating method. You can put so many phrases on your kindness rocks so be sure to follow Rocks of Joy’s Instagram for endless inspiration. 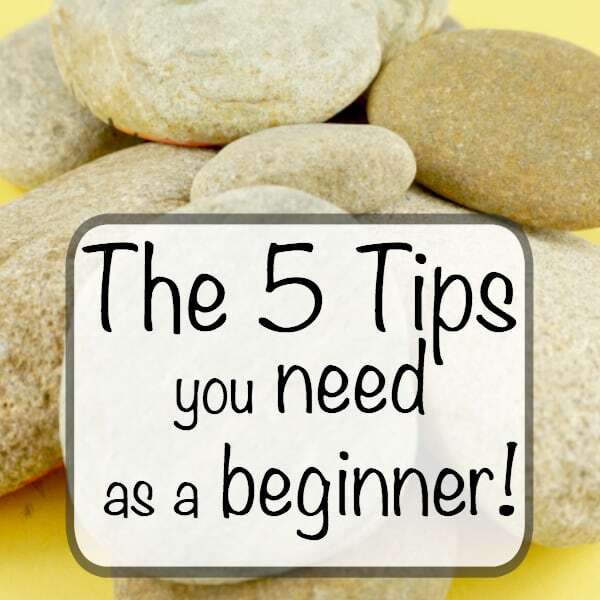 Here are just a few ideas to get you started! 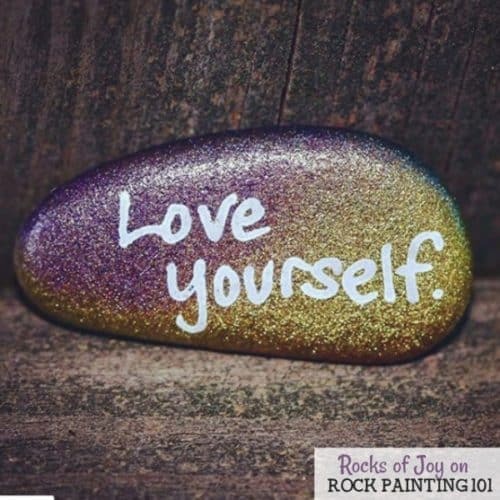 We hope you decide to create some beautiful rocks to spread joy around where you live! 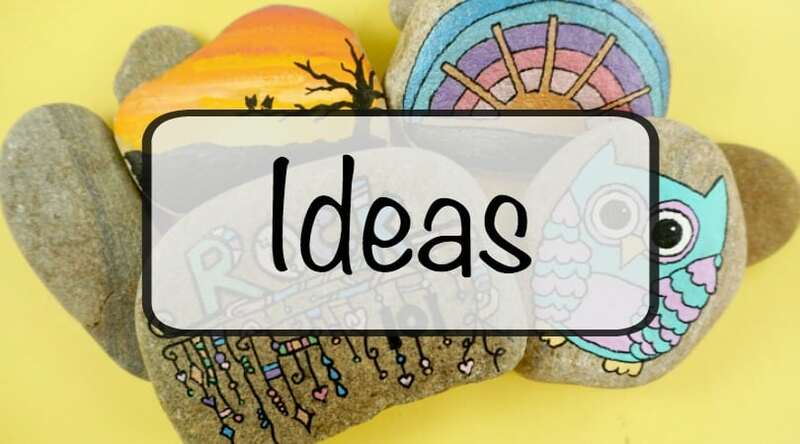 Pin these kindness rocks to your favorite Pinterest board!